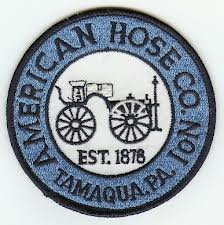 09/25 1130: Tamaqua Fire Department, Rescue, EMS, dispatched to 601 West Broad St. for reported house fire. Citizens and AHCO off the floor. Chief 772 on scene reporting nothing showing, 2 1/2 story home. PD reporting fire out, contained to oven. Per C772, all units reduce rate. Citizens E782 and AHCO 776 on scene followed by South Ward. C772 now requesting working fire, line pulled from E782 and entered structured, line pulled from E776 and staged at main entrance. E776 on hydrant, requested supply line from E776 to E782. L770 and E775 on scene. C772, fire extinguished. Fire contained to oven area, no extension. Overhaul in process. Units started to clear at 1210.